There are a wide range of different environments across Hampshire, from the urban coastal centres such as Portsmouth or Southampton, through towns like Basingstoke and Andover, to much more rural settings – and don't forget the Isle of Wight. Wherever you live or work across the county, there is one constant and that’s car thefts and crime. While certain areas, often in the cities and their surrounds, show higher instances, no area or postcode throughout Hants is immune from these infuriating and distressing events. There is one proven way for motorists across Hampshire to give themselves a better chance of assisting with the recovery of a stolen car, and that is to fit a tracker to your vehicle. 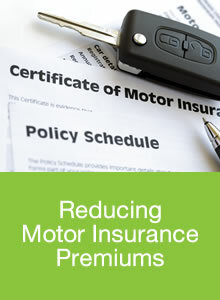 This often has the added, and very welcome, benefit of helping to reduce your hefty motor insurance premiums. Choosing us here at Trackerfit as the source of your car tracker Hants requirements makes perfect sense. With more than a quarter of a century of experience in this field, our friendly and helpful team can help you make the right choice. Each of our four most popular car trackers – all insurance approved – offer 24-hour monitoring, and are fitted at a location of your choice by our Approved Installers. These offer motion sensing alerts, even in an underground location, or if a vehicle is containerised. They also have a battery back-up, and low power warning and disconnect alerts all included. With ferries so handily available from Hants ports, their European coverage is also a serious plus point. 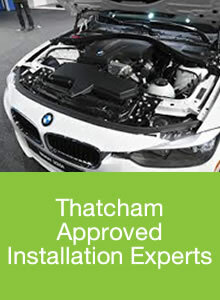 Each Trackerfit installation expert is accredited by the not-for-profit Automotive Research Centre at Thatcham which is why we are number one for all your car tracker Hants needs. Installation is free, and your chosen device is activated after fitting and then registering it with the Secure Monitoring Centre specific to your vehicle’s make and model. Then, if your car is illegally taken, as soon as you confirm this, the Secure Control Centre begins tracking it and liaising with relevant police forces - and that's UK-wide. It’s a wise move to protect your car now, rather than suddenly find a space where it used to be! Simply call our team for free on 0800 756 5100 and discuss with one of our experts which system would best meet your car tracker needs for your Hants location.